Editor's note: A Big Thank you to Mitch Lorenz and Anita Shroff for writing the majority of the Conference Notes this week! 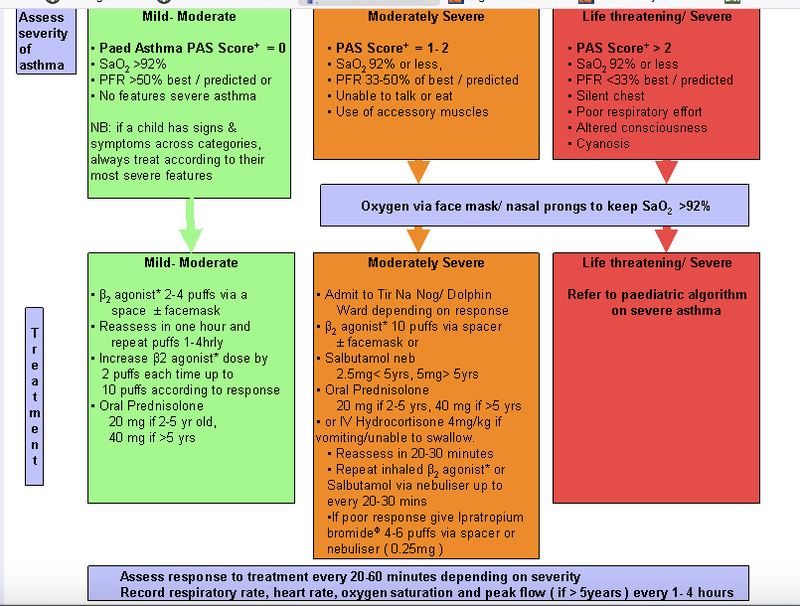 A score of 3 or higher is severe asthma. Albuterol dosing- when should we use continuous vs unit nebs? Steroids- who should receive steroids? Which patients need a CXR? -Kemp (PICU) comment: if patient is admitted to the PICU, they will get a CXR to assess for pneumomediastinum or pneumothorax. This info is critical when using higher nasal cannula flow rates, higher bipap or ventilator peak flow rates, or higher peep. The rash of Rocky Mountain Spotted Fever starts on the ankles and wrists and moves toward the trunk. Fever precedes the rash by a few days. 2. Heat Stroke - 2 types, diagnositic criteria > 40C, AMS. Patients with low risk DVT and PE can be discharged home on xarelto or eliquis. 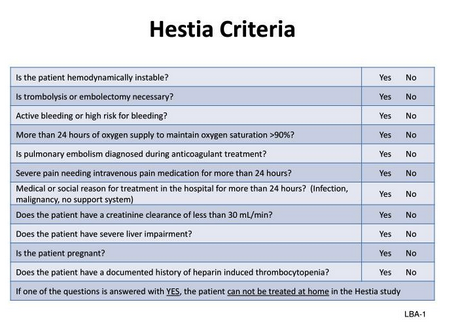 Use modified Hestia criteria to decide who can go home. Patients need PCP follow up and are reliable to follow up. The first month of treatment with xarelto will be free of charge. After the first month, the patient will need to pay for the medication through insurance or cash. Hestia Criteria. If you answer yes to any of these questions, the patient cannot be treated at home. Tintinalli also notes that an extensive DVT should be treated in the hospital. Ciprodex not covered by insurance. Please list the ingredients and the volume of each ingredient of magic mouthwash on your script. Pharmacies are calling our pharmacists with many questions about our magic mouthwash prescriptions.